33 Local Washington artists show the diverse culture of our state. Mediums include watercolor, oil, acrylic, pen and ink, sculpture, woodworking, photography, oil pastels and mixed media. Lillyan Hendershot is the co-owner and Art Director of the Branding Iron, a small scale design firm located in downtown Edmonds. Lilly's two passions are art and design. She is a lifelong mixed media artist and graphic designer. She has a BFA in Studio Art Oil Painting from Western Washington University and a MFA in Media Design from Full Sail University. While going to school for fine arts, graphic design and printing is how Lilly paid the bills. Lilly graduated from Western in the midst of the Great Recession. She began exhibiting her paintings in numerous galleries throughout the Puget Sound and became internationally recognized in several art publications including Inside the Artist, Art Buzz, International Contemporary Artist, Direct Art Magazine and Featured Artists. This, however; did not pay the bills because people were not buying art. Lilly decided to continue her education in graphic design to merge her love of art with a sustainable career. After earning her masters, Lilly parted with her employer to begin as a freelance designer. Following a year of working freelance, she opened the Branding Iron on May 9th, 2014 with the help of her husband Timothy Hendershot and Mesfin Mengasha, both co-owners. 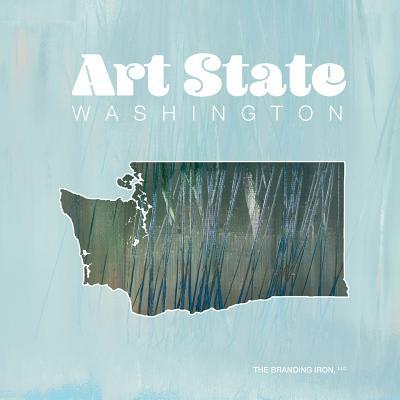 The Branding Iron is publishing "Art State Washington" as a way to show the diversity and culture of art in Washington state while acting as a way to market the individual artists that are featured.